Who leaves Mongolia without feasting on their Mongolian Barbecue? 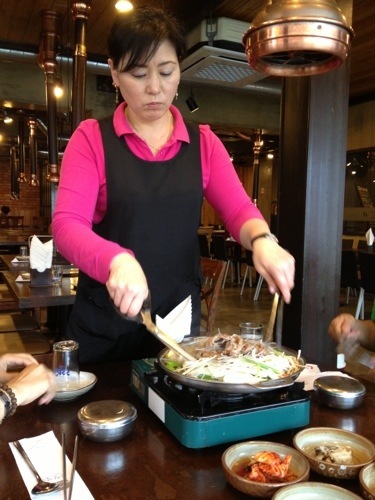 Stuff your bowl with meats & veggies, make your own sauce concoction, and then leave it to this Mongolian to cook it for you on this round hot rock table. But I must say Korean food is something else. We hit the ground running by choosing a bibimbap meal on our KAL flight. Well…… Let’s just say we can’t wait. Of course the inflight meal ain’t the real deal, but it’s a good start. 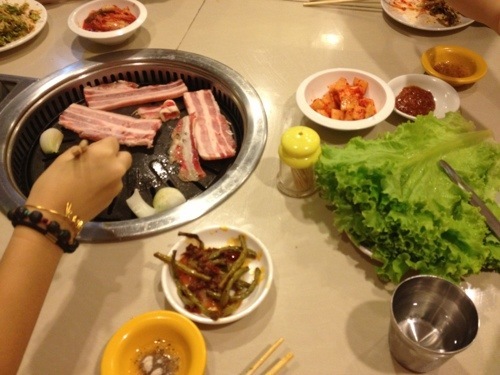 So, here’s how we indulged ourselves in the 2 nights we stopped over in Seoul. Call us gluttons! GWIYOMI……… I’m happy! 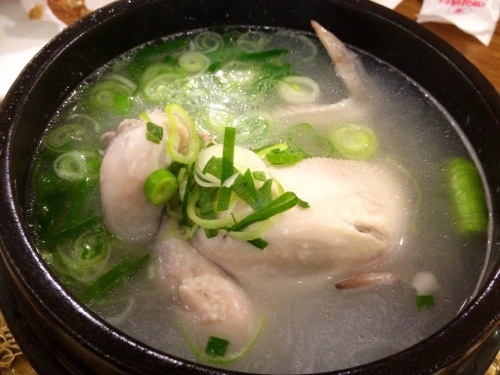 Ginseng Chicken from YongYang…………for ENERGY! That’s our lunch being cooked for us. 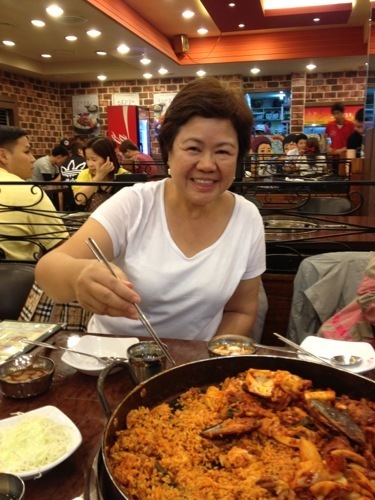 Korean Seafood Paella? Looks like it, but spicier! Korean Street Food is LOVE! 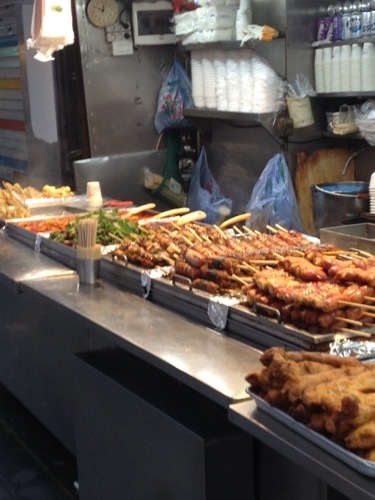 NOT TO FORGET: STREET FOODS!